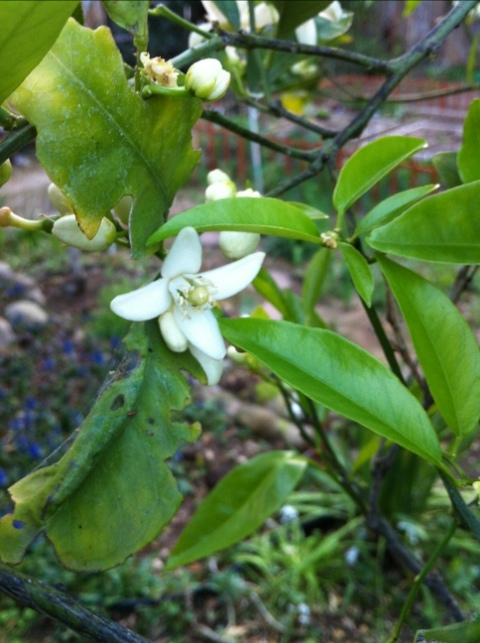 The smell of orange blossoms is starting. A bright fruity smell that even smells sweet. It has characteristics of lilac or jasmine lays in heavy pockets in the air. We are lucky to have a few in our yard. Soon the air will be so thick with sweet fragrance we can spread it on our pancakes!